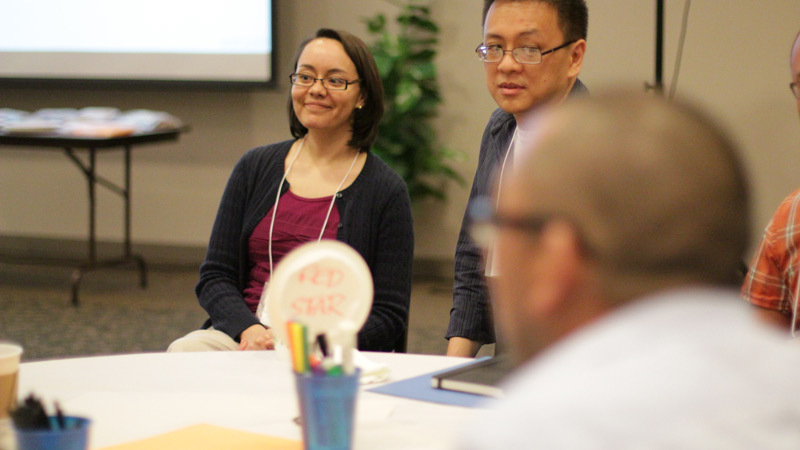 Exploring the intersections between ethnic identity and its bearing on our calling to service in the Kingdom. The Hispanic-Asian North-American (HANA) Consultation on Theology and Ministry was held May 14-17, 2013 on the campus of Trinity Evangelical Divinity School in Deerfield, IL. 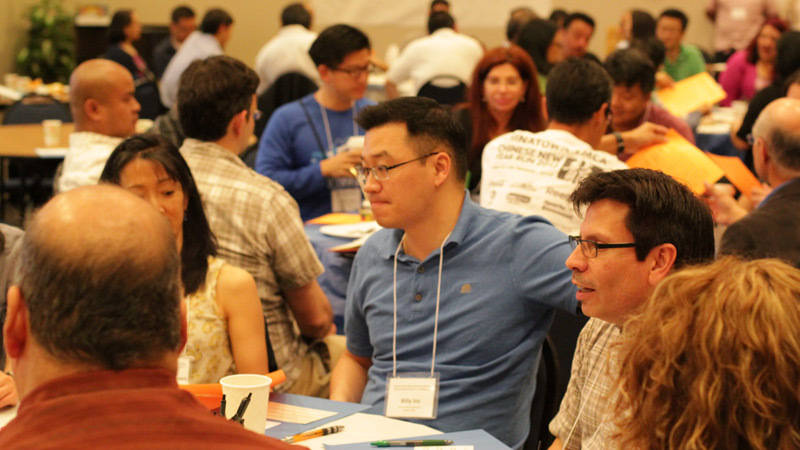 Bringing together a total of 60 evangelical Hispanic and Asian American theologians and ministry leaders, the objectives of the consultation were to discuss issues affecting both immigrant faith communities and to develop collaborative partnerships with one another. A week of lively round-table discussion. A combined effort from the outset, Dr. Peter Cha (Associate Professor of Pastoral Theology at Trinity Evangelical Divinity School), Dr. Juan Martinez (Associate Provost of Fuller Theological Seminary), and Dr. Linda Cannell (former dean of North Park Seminary and former professor of education at Trinity and Gordon-Conwell Theological Seminary) worked together in planning and facilitating this historic gathering. 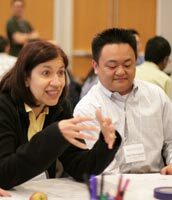 Hosted by the Carl F. H. Henry Center for Theological Understanding and the Catalyst Leadership Center, the HANA Consultation had an antecedent gatherin in the Asian North American (ANA) Consultation that met in May 2009 to address ministry in Asian North American contexts. What lessons and insights can we share that might deepen each community’s theological reflections and strengthen its ministry of the Gospel? What might be some significant ministries that both ecclesial communities can collaboratively partner with one another, locally and globally? 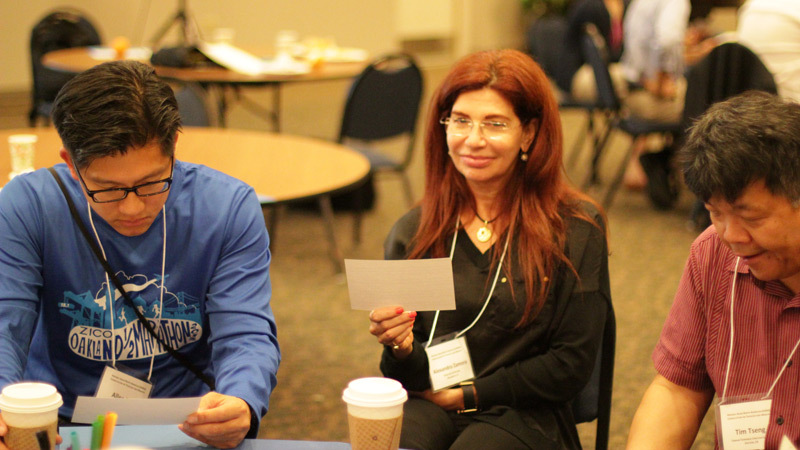 Framed by the themes of Christian fellowship, the biblico-theological practices of lament and hope, and gospel partnership, these questions were examined in both plenary sessions and more topic-specific track sessions.